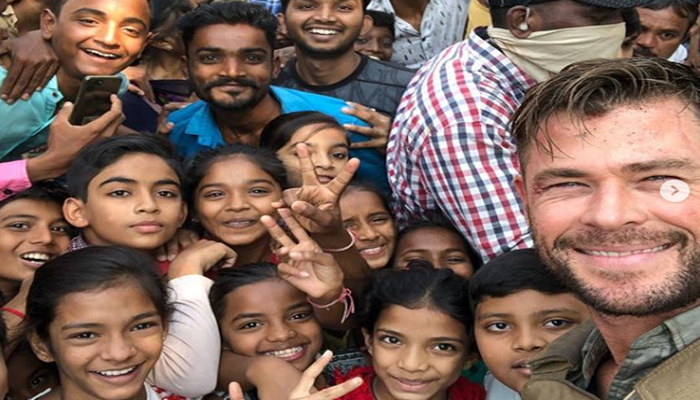 Hollywood actor of Avengers’ fame Chris Hemsworth is in India these days where he seems to have received a lot of love for which he has thanked the country for welcoming him so warmly. The star, who initially was overwhelmed upon the sight of auto-rickshaws, bikes and cars stuck in a traffic jam on the streets of Ahmedabad, said, “Beyond thankful for the kindness and generosity that the people of India have extended to us while making our little film here,” he posted on Instagram along with three photographs in which his little fans surround him. One of the pictures shows the iconic actor taking a selfie with the crowd, whereas in another he warmly holds on to some children’s hands. Hemsworth, who plays Thor in the Marvel Cinematic Universe films, is in India to shoot the Netflix film Dhaka. 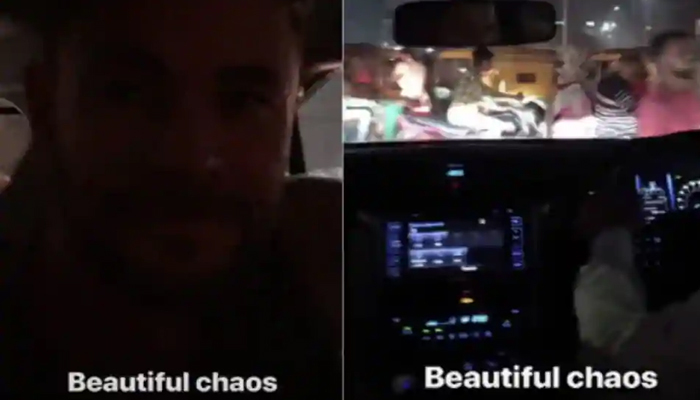 In a latest Instagram story shared by him on Sunday night, Hemsworth panned the camera to the outside scene from the backseat of his car. "Beautiful chaos," he wrote along with the first story in which he is also heard imitating the cacophony of the horns by saying: "Beep beep." Hemsworth flew to India last week. He started shooting for Dhaka on November 3, and even shared behind-the-scene glimpses from on and off the sets with his Instagram followers. The actor is likely to also shoot in Mumbai for the film.